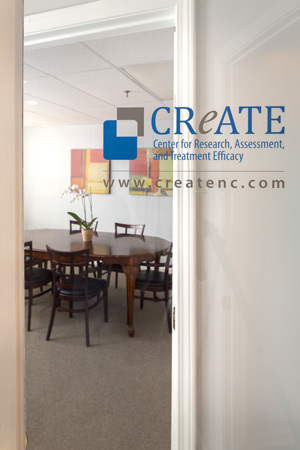 The Center for Research, Assessment, and Treatment Efficacy (CReATE) is a clinical service and psychological research organization. We are a group of doctoral-level psychologists committed to the provision of data-driven assessment and evaluation, empirically-supported mental health treatment, and the interface between science and practice. We provide comprehensive psychological and psychoeducational evaluations, consultation and training, and research and outcome evaluation to organizations and individuals. We are committed to the highest quality of care and offer you the expertise you expect from scientist-practitioners in a supportive, nurturing and therapeutic environment. Copyright © 2019 CReATE: Center for Research, Assessment, and Treatment Efficacy . All rights reserved.